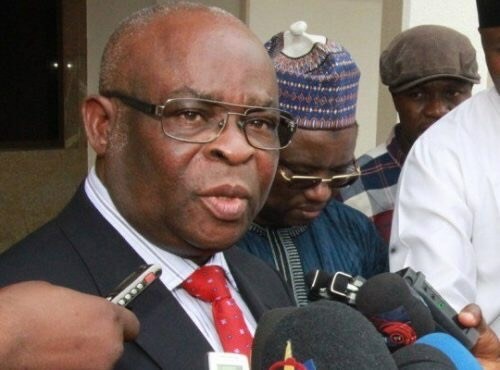 Ahead of his trial at the Code of Conduct Tribunal (CCT) slated for Monday next week, the suspended Chief Justice of Nigeria (CJN), Justice Walter Onnoghen has clarified that some of the deposits in his Dollar account were a result of forex trading AGRICODE, while other investment returns were from proceeds of his investments into them. Justice Onnoghen’s averrements are contained in the voluntary statement he made at Department of Intelligence Investigation and Monitoring, Code of Conduct Bureau (CCB), Abuja. “the deposits made in my US Dollar account No. 87000106250 with STD. Chartered Bank of $10,000 at different intervals of 28/6/11 were sourced partly from my reserve and saving from my estacodes including medical expenses. “The same applies to my deposit of 27/7/11 of the sum of $10,000 twice. “It is important to state that prior to my opening the US dollar account, I had foreign currency which I kept at home due to the fact that there existed a government that proscribed the operation of foreign currency account by public officers including judicial officers. “It was when I got to know that the policy had changed that I had to open the said account. Upon opening the account, I was made to understand that I cannot pay in more than $10,000 at a time and per payment slip. I cannot remember the total amount I had on reserve at the time, but it spread from my practice days as a private legal practitioner from 1979 –1989. “Some of the deposits are as a result of forex trading AGRICODE and other investment returns from where proceeds of my investments go into them. The withdrawals in the account are partly to pay children fees and upkeep abroad and further investments. “My British Pound and Euro accounts with Chartered Standard Bank are savings accounts. “My Asset Declaration for Nos. SCN000014 and SCN.0000 5 were declared on the same day, 14th December, 2016, because I forgot to make a declaration of May, 2005 declaration of my assets after the expiration of my 2005 declaration in 2009. “Following my appointment as acting Chief Justice of Nigeria in November, 2016, the need to declare my asset anew made me to realise the mistake and then did the declarations to cover the period in default. “I did not include my Standard Chartered Bank Account in SCN. 000014 because I believed they were not opened during the period covered by the declaration; I did not make a fresh declaration ofthe asset after my substantive appointment as CJN because I was under the impression that my SCN. 000015 was to cover the period of four years which include my leave as CJN. “The deposits made in my US Dollar account No. 87000106250 with STD Chartered Bank of $10,000 at different intervals of 28/6/11 were sourced partly from my reserve and saving from my estacodes including medical expenses. The same applies to my deposit of 27/7/11 of the sum of $10,000 twice. It is important to state that prior to my opening the US Dollar account, I had foreign currency which I kept at home due to the fact that there existed a government that proscribed the operation of foreign currency account by public officers including judicial officers. It was when I got to know that the policy had changed that I had to open the said account. Upon opening the account, I was made to understand that I cannot pay in more than $10,000 at a time and per payment slip. I cannot remember the total amount I had on reserved at the time but it spread from my practice days as a private legal practitioner from 1979 – 1989.